Oxford Stories students produce The Lorraine Motel: 50 Years After the Assassination of Dr. Martin Luther King Jr.
Last semester, journalism instructor LaReeca Rucker gave Oxford Stories journalism students a challenging final project. She wanted them and readers to learn about the effects of Dr. Martin Luther King’s assassination that happened 50 years ago on April 4, 1968 in Memphis. 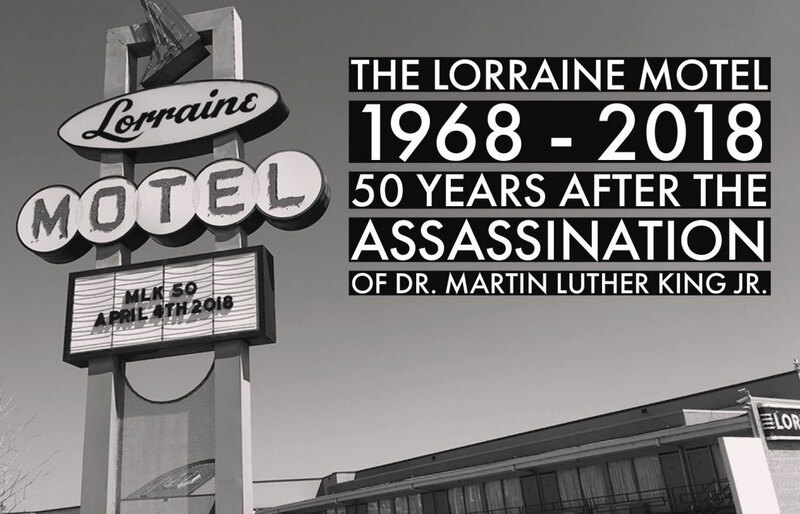 The result of that was a project called The Lorraine Motel: 50 Years After the Assassination of Dr. Martin Luther King Jr. The Northeast Mississippi Daily Journal has partnered with Oxford Stories to run some of the students stories this week. Recognizing the educational value of the historic event, Rucker said she also hoped to incorporate social justice reporting into classroom assignments that would challenge students to step away from common campus stories and learn firsthand about our state and surrounding area’s recent history from those who had endured it. 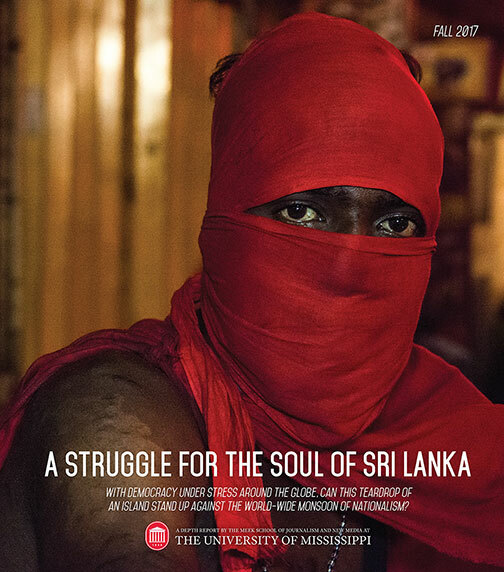 “Any assignment or journalism project you do with students is always experimental because you know some will deliver and others will not, so I wasn’t exactly sure what the completed project would look like,” she said. Their objective was to interview someone about their lives, their memories of Dr. King’s assassination, and the impact they believe his life and death had on them and the world. Many returned with compelling stories. One student found Mary Redmond, who had met King after one of his speeches. He shook her hand and told her “things were going to get better.” This was an important encounter and message for a woman whose father was beaten to death because, as a child, she accidentally bumped the arm of a white girl. They interviewed Hezekiah Watkins, who met King after Watkins was jailed at age 13 for being one of the youngest Freedom Riders. When he and one of his young friends wanted to get a closer look at the people who were traveling through Mississippi fighting for equality, he said they rode their bikes to the Greyhound Station in Jackson. There Watkins, a child, was arrested and jailed along with the others. Students interviewed Senator Samuel Jordan, who personally attended the trial of J.W. Milam and Roy Bryant, charged with the murder of Emmett Till, 14, in 1955. Pitching in a quarter each for gas, Jordan set out for Sumner, Mississippi with friends and watched reporters interview Mamie Till, Emmett’s mother. They found and interviewed Roscoe Jones, a Meridian native and Bloody Sunday marcher, now 70, who had a personal relationship with Dr. King when he was president of the youth chapter of the NAACP during the Freedom Summer of 1964. They also interviewed others with memories they can’t shake. When Belinda Carter was around 10, her school bus driver drove past Carter and her siblings for a week as they stood on the side of the road waiting for the bus because the driver refused to pick up black children. of Mississippi journalism and integrated marketing communications professors Alysia Steele and Bobby Steele, Jr.
“Measure of Progress: The Clyde Kennard Story” will premiere at the University of Mississippi, Overby Center Auditorium Tuesday, March 20, 2018, from 6-8 p.m. The program is free and open to the public. There will be a panel to answer questions after the premiere. Clarion-Ledger investigative reporter Jerry Mitchell, who was interviewed in the film, may attend the event. Southern Miss Freedom50 Research Group, an interdisciplinary group of scholars in the USM Departments of English, History, and School of Mass Communication and Journalism researching racial progress occurring at the university over the last 50 years, reached out to University of Mississippi’s Meek School of Journalism professors Alysia and Bobby Steele to produce the 15-minute documentary. 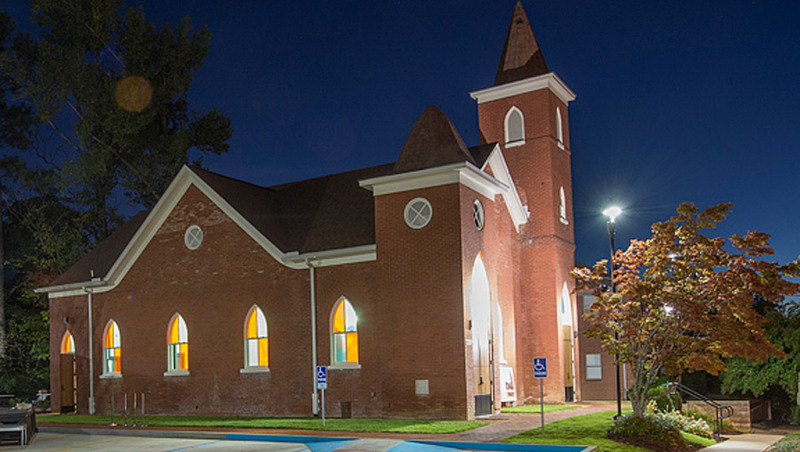 Project funding was provided by the Mississippi Humanities Council. A native of Hattiesburg, Clyde Kennard made several attempts to enroll at then Mississippi Southern College, now The University of Southern Mississippi, but was denied entry by college, state and local officials. Although his efforts were obstructed, Kennard persisted until he was falsely accused and convicted of multiple crimes, then ultimately sentenced to seven years at Parchman Farm, now the Mississippi State Penitentiary. While there, Kennard was diagnosed with cancer, but was denied proper medical treatment until he was critically ill. He was released on parole in January, 1963 and died July 4, 1963, at the age of 36. On March 30, 2006, Kennard was declared innocent in Forrest County (Miss.) Chancery Court – the same court where he had been convicted decades earlier – after subsequent investigations showed he had been framed. To atone for its role in this injustice, USM in 1993 renamed its student services building Kennard-Washington Hall in honor of Kennard and Dr. Walter Washington, the first African American to earn a doctorate from the university. USM also honors Kennard’s legacy through a scholarship program that bears his name, which to date has benefited more than 40 of its students. Members of the Freedom50 Research Group include Dr. Sherita Johnson, associate professor of English, director of the USM Center for Black Studies and organizer of Freedom50; Dr. Cheryl Jenkins, associate professor of mass communications and journalism and assistant director for the Center for Black Studies; Dr. Rebecca Tuuri, assistant professor of history, and Dr. Loren Saxton Coleman, assistant professor of mass communications. As the Freedom50 Research Group evolved, Dr. Coleman said it became clear it needed to focus its work on Clyde Kennard, because “his story is paramount in this university’s journey to desegregation and racial progress,” and engaged producers Alysia Burton Steele and Bobby D. Steele, Jr. to turn their idea for a documentary on Kennard’s life into reality. Meek School of Journalism and New Media professor Ji Hoon Heo assisted as camera operator and drone photographer. “It has been our goal to share his story of triumph, not just tragedy, with the university and greater Hattiesburg community,” Coleman said. “We want each student that walks on this campus to know the Kennard story, understand his sacrifice and see themselves as part of his legacy,” said Dr. Coleman. “We wanted to make sure Mr. Kennard’s legacy would be the highlight of our work, and that his determination to receive an education would be an inspiration to all,” Dr. Jenkins said.